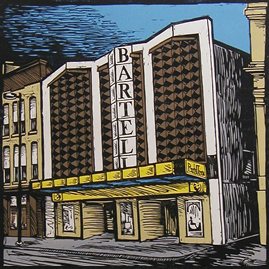 The Bartell Theatre depends on the generous donations from people like You. Every donation helps us continue to bring quality theatre to the community. To set up recurring donations, please click the link HERE. For a single donation, please click the link HERE for the options below. Any amount Helps! If you would like to donate a different amount, follow the link below! The Bartell is a not-for-profit 501(c)3 business. Donations do not necessarily have to be funds. You can donate all sorts of stuff, so please let us know if you have anything that could potentially help The Bartell better serve its Mission.